Italian Days | RomAntica! — Amanda Custo. I named this post after the tiny restaurant where we went to eat breakfast in Via Emanuele Filberto every morning while staying in Rome. 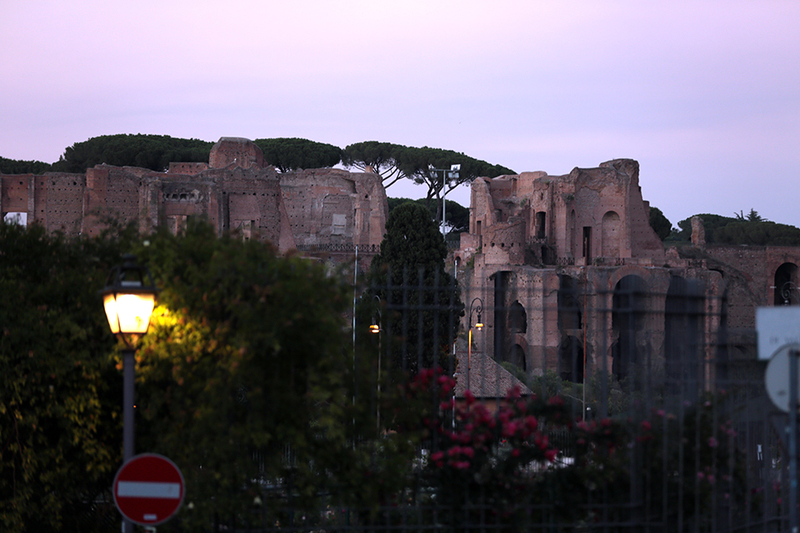 Roma Antica. 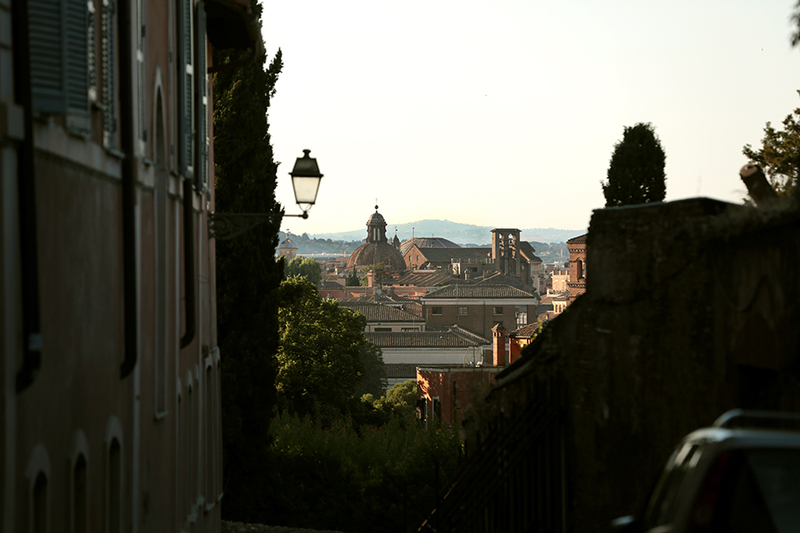 Old Rome. 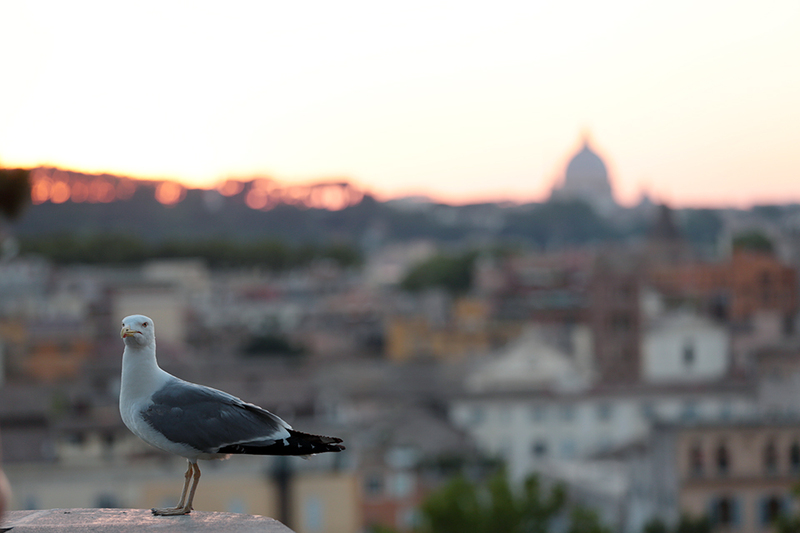 But also Romantic Rome (cute, clever little word-play there! Trust the Romans). Rome is both excessively laden with history and landmarks but on the other hand I got the feeling that it was also, well, old. Older, wiser, more mature…like a greying old mistress that has still kept her figure and beauty intact. Rome is red lipstick and a black suit. Rome is all domes, etched in orange. 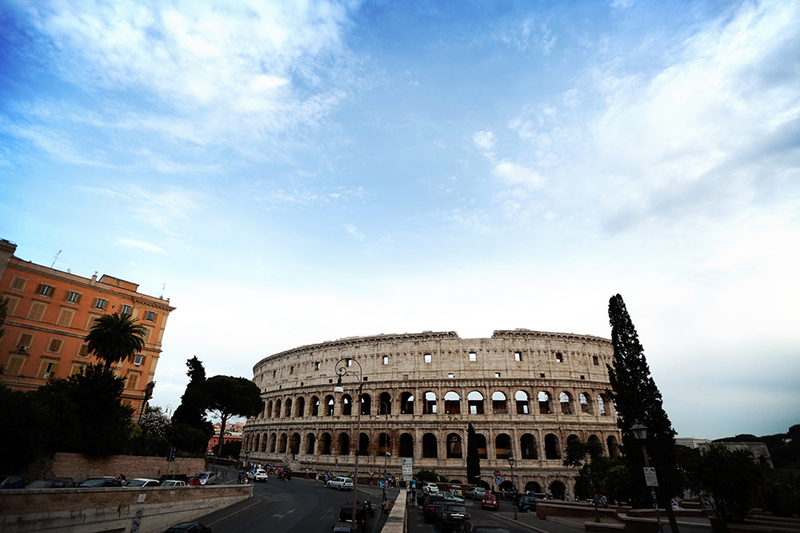 Rome is all ruins and ancient empires. 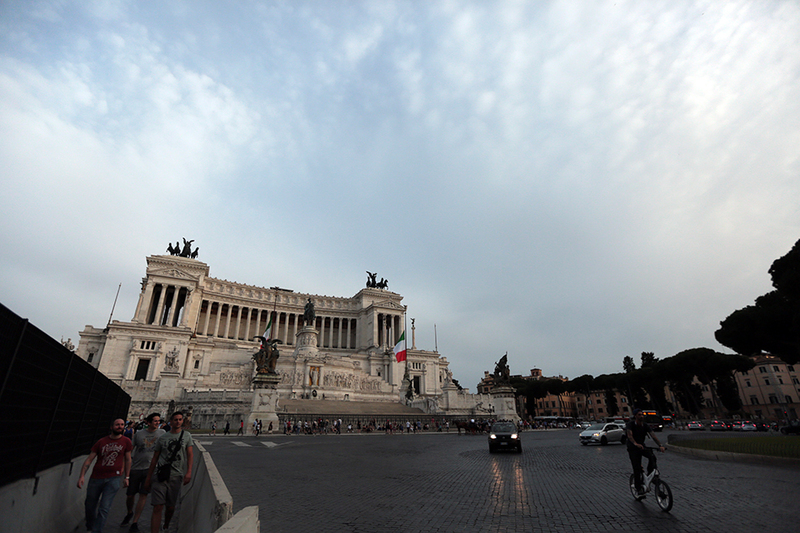 Rome is rich with culture and pulsing with life. An enchanting, romantic, bustling, beautiful city! The Orange Gardens: First tip: Do not ask the locals for directions. They have no clue where this is - must be Rome’s best-hidden little secret. We followed a GPS and directions from Gosia’s friends over the phone to find it and finally arrived to the most magnificent view…the scent of oranges floating on the breeze and a gorgeous sunset. Another tip: take your own picnic basket. They don’t sell sundowners here! Aperol Spritz at a teeny tiny bar on Via Dell’Orso: Not sure what the place is called (well there was no sign anywhere outside or on the menus) but there is an ancient gentleman that runs the place who is so sweet - he cannot speak a word of English but he serves the best Aperols and he corrected our accented and very basic Italian all the time. 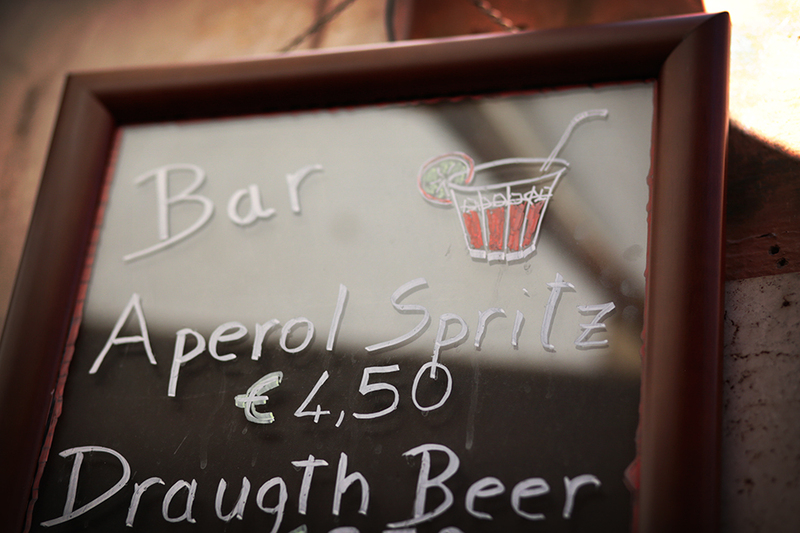 (The Aperols are also very well priced here…wink wink). Via Condotti a.k.a Designer Avenue: Be warned: If you are a broke bohemian fashion addict / billionaire-wannebe (ME!!) - STAY AWAY. As Google describes it: "Prada next to Armani with a sprinking of Gucci..." It will have you wishing you saved more money before your trip! But the shop window displays are just dripping with inspiration and gorgeous things. So maybe do a late-night window-shopping visit. ZARA in Via Del Corso: Rome's stunning flagship store is a must-see - where you can indulge with less damage to your plastic. The Coliseum, The Vatican and the Trevi Fountain: Although I do feel that it is important to visit these "giants", I put can almost suggest to see them all in one day. I find it very difficult to grasp the real culture and vibe of a city by visiting tourist attractions. 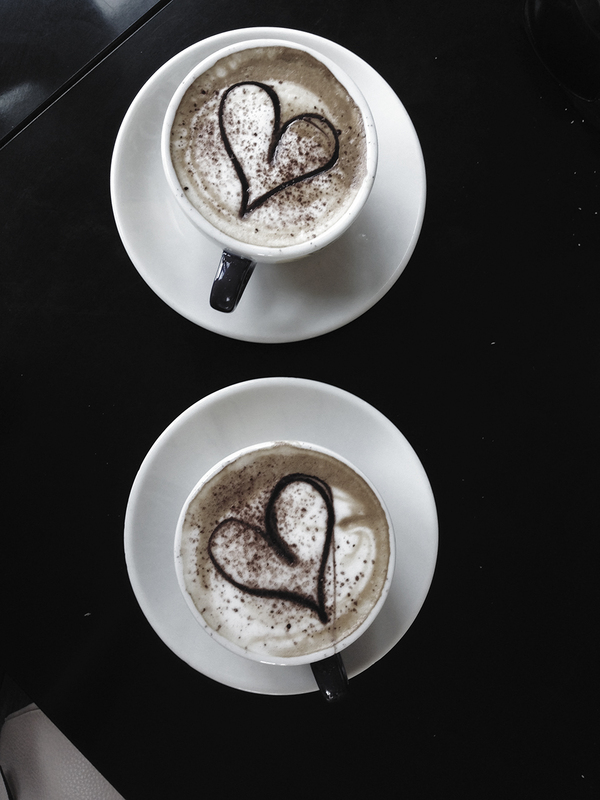 I would much rather sit at a local café or in a park and walk the streets to breathe in the beauty and buzz! All clothing, shoes and accessories are from ZARA, except the Gucci T-shirt and handbag.